Given the “who’s who” list of platforms offering it, CRM matching has truly arrived. And why not? CRM matching is arguably the most advanced way for brands to connect the dots to their target audiences, and then help them deliver targeted messaging. Among its many selling points, CRM matching can help advertisers reactivate latent customers, prospect for new customers, or exclude current customers from new advertising campaigns. CRM matching can also assist in reaching customers where they spend their daily screen time, whether on desktops, tablets, or, as studies show, increasingly in-app on smart phones. The sad truth is, when it comes to matching customers on a massive scale, advertisers are led to believe that the only way to scale affordably is to use a hybrid combination of probabilistic and deterministic CRM matching. There’s got to be a better way. Probabilistic matching uses big data analysis to associate multiple devices to likely consumers or households. This approach, while generally viewed as delivering scale affordably, is akin to mathematical guesswork. As the name implies, deterministic refers to the ability to determine specific identities and therefore confirm a match. Deterministic methods include the use of proprietary systems, server-to-server, and/or third-party platforms. Each has its inherent pros and cons. Advanced proprietary systems offer a simple, rapid and secure way to use encrypted or hashed customer data in the matching process to ensure consumers’ privacy. Proprietary systems cut out middle men, making the process more efficient. Proprietary systems are not open, however, so advertisers should evaluate the transparency of the kinds of connections the partner is willing to make with the data within those proprietary systems. Server-to-server deterministic matching refers to advertisers who use a data management platform or DMP (e.g., Adobe, BlueKai, etc.). Ask the tech provider about setting up a cookie sync to target audience segments in real time. This allows for matching to occur at the cookie/device ID level, thus alleviating the need for email addresses while still identifying the desired matches. Because it’s hard to track across several platforms, server-to-server matching generally returns lower match rates. 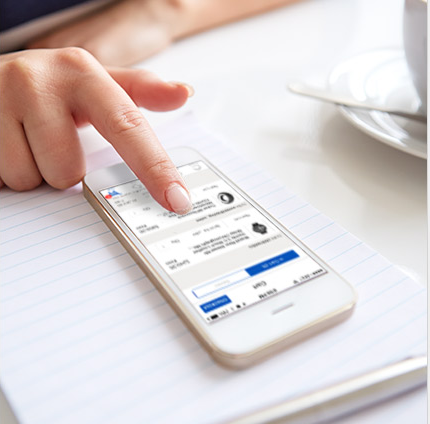 Third-party platforms are popular because they connect click-throughs with on-board, point-of-sale (POS) data, closing the loop between online and offline behavior for match lists. However, beware of any hidden costs associated with them, and factor these into the budget planning stage to avoid surprises once programs are underway. this CRM data fuels successful matching programs. This enables marketers to close in on reaching advertising’s holy grail: the better understanding of purchase behavior and lifestyle interests to inform ads that consumers will welcome, versus ignore, reject or ridicule. So, is CRM matching at scale only attainable via a hybrid approach? As sophisticated as today’s probabilistic matching algorithms have become, the combination of deterministic and probabilistic in a hybrid solution is ultimately still guesswork. On the other hand, publishers with access to millions of users logging in to their favorite apps are in a good position to determine who these users are, and secure higher CRM match rates. Why would you pay for something without knowing 100% what you’re getting? CRM matching should be thought of in the same light. In our age of big data and technical sophistication, it’s time to cease deploying “spray and pray” methods. When it comes to CRM matching and digital advertising, brands should stop settling, and pursue models based on deterministic data. The smarter we are about our targeting and measurement, the more successful our campaigns and ultimately, brands will be. Anyone who has a mailing list or any retailers with transactional data should be using CRM targeting. Publishers with millions of log-ins typically achieve higher match rates than those with smaller data sets and have the ability to reach consumers in mobile apps, where they are spending the bulk of their daily device time. Factor ways to close the loop between on-line purchases and off-line sales for the greatest returns on CRM matching program investment.